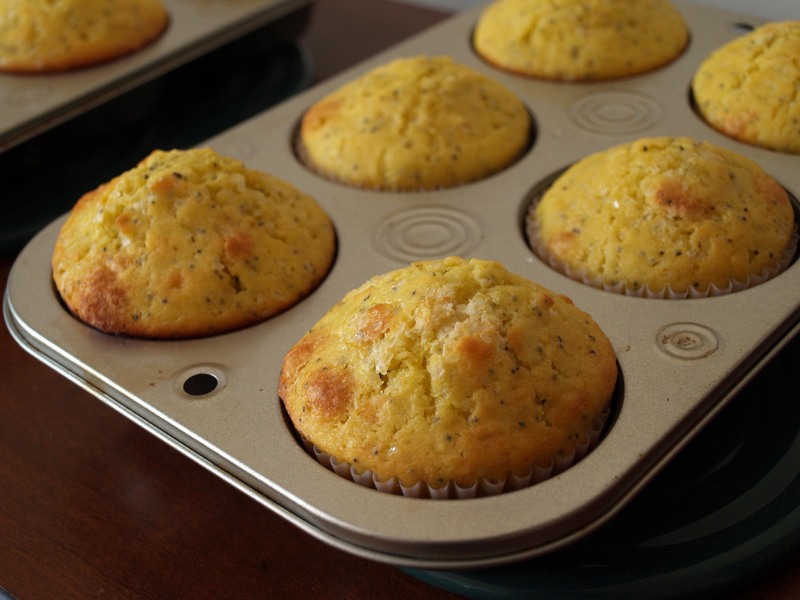 Lemon Poppy Seed Muffins Made with Leftover Frosting | I Wanna Bake! One of the things I managed to do on Sunday was use up the leftover frosting from last week’s Black-Eyed Susan Cupcakes and some leftover egg whites from my home made mint chocolate chip ice cream (more about this soon) in another of my Frankenstein recipes. I’ve made cookies with leftover frosting before, but this time I really wanted to think more outside the box. I’ve also wanted to try lemon poppy seed muffins for awhile now, so I was determined to make it work, baking conventions be damned! It turns out that frosting and egg whites work better in a muffin recipe than they have any right to. I used Joy of Cooking’s “Muffins” recipe as a starting point. There was a lot of mental calculation that happened to get to this point, but I decided in the end to replace the sugar with 1 cup of the leftover citrus frosting and to substitute 3 egg whites for the two whole eggs originally called for in the recipe. 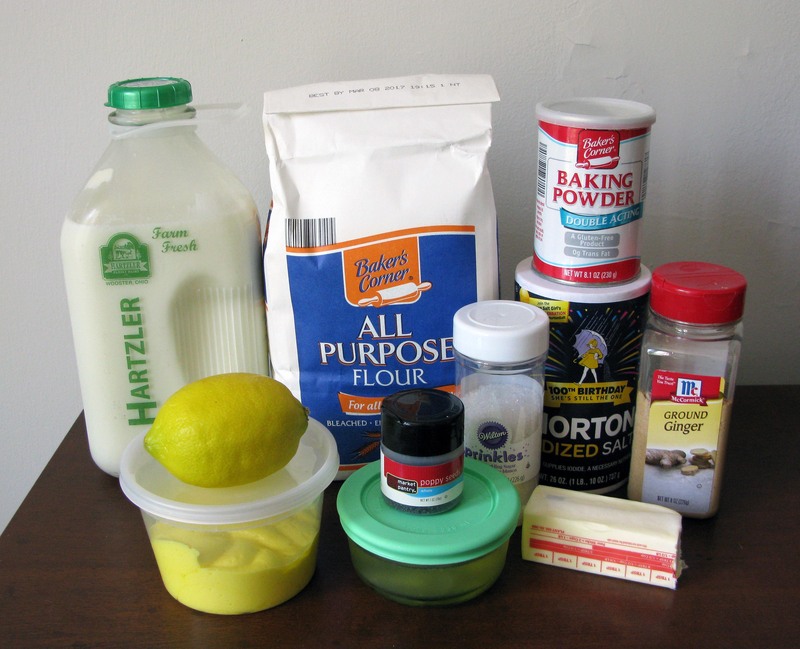 I was also worried that the flavoring in the frosting wouldn’t be enough to be noticeable, so I added the freshly-grated zest of 1 lemon (approximately 1 tablespoon) to ensure a hit of lemony goodness in each bite. If I were to do it all over again, I might even add more zest or a teaspoon of lemon extract. 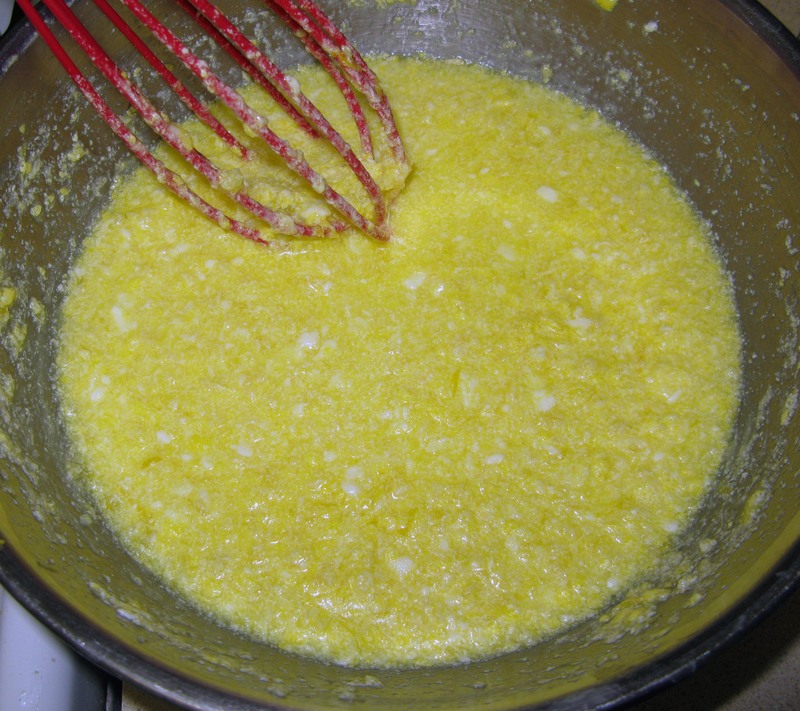 If you don’t want to separate eggs, you can substitute 2 whole eggs for the 3 egg whites. This will probably add a little richness to the muffins. I tried to compensate for the lack of yolks by using whole milk (I usually use 2% because it’s what I have around) and a little extra butter. As you might have guessed, I am open to experimentation, so I won’t judge you if you want to try something different. It’s starting to feel like summer, and summer makes me feel like Smash Mouth (I grew up in the ’90s-’00s, give me a break). My go-to album is Astro Lounge, but of course there are several other options. 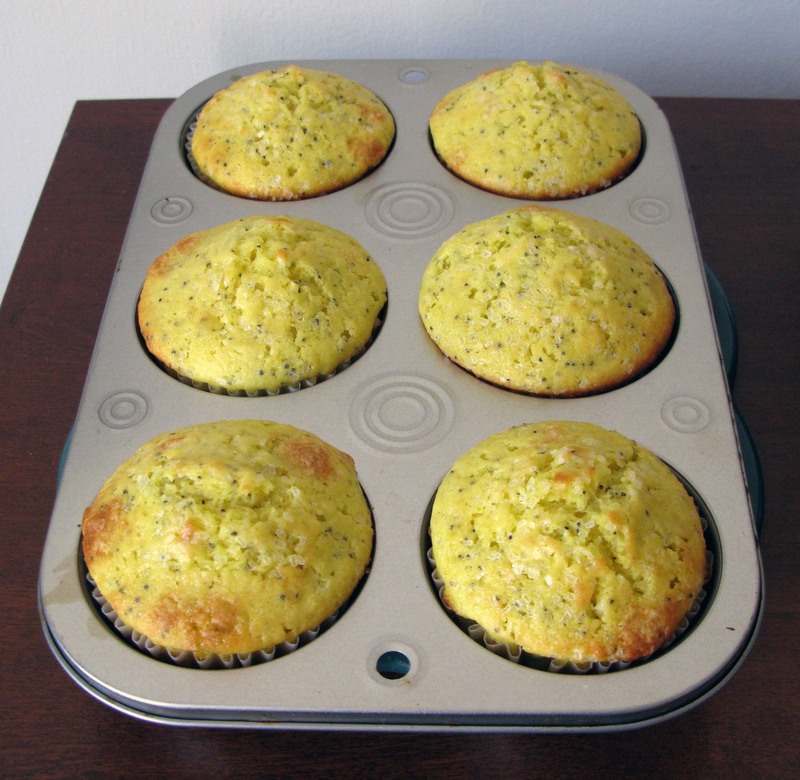 Preheat your oven to 400°F and line muffin tins with paper wrappers (or grease them). 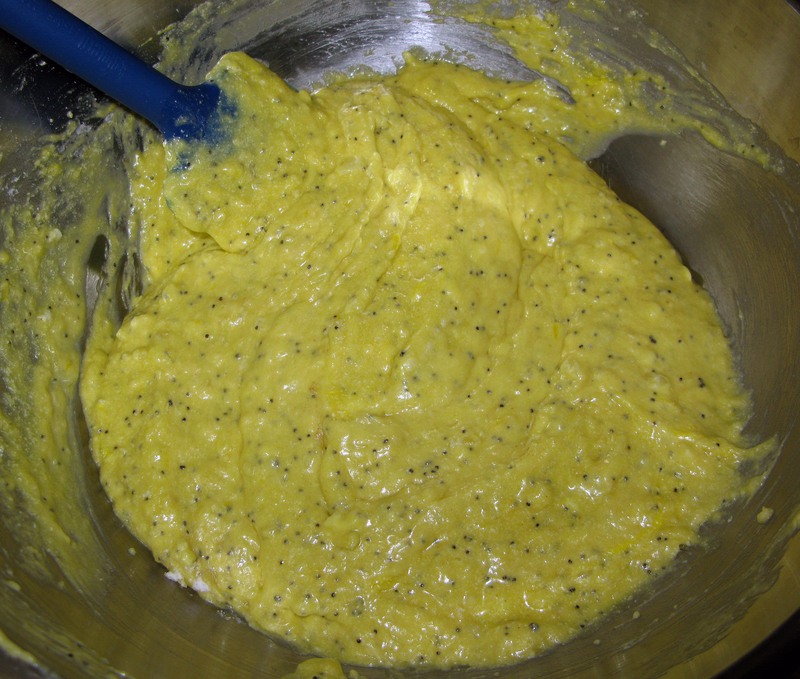 In a large mixing bowl, whisk together the flour, baking powder, salt, ginger, and poppy seeds. In a separate bowl, whisk together the milk, egg whites, frosting, butter, and lemon zest until fully-combined (it will be a bit chunky). 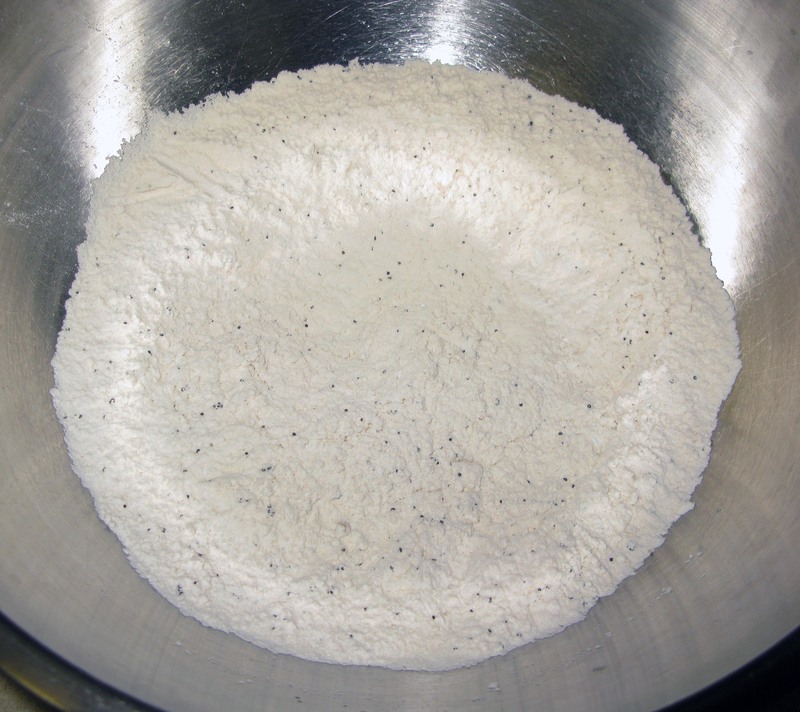 Pour the wet ingredients into the dry ingredients and fold them together with a spoon or rubber spatula only until all of the dry ingredients are moistened (there shouldn’t be streaks of flour throughout the batter when you stir it). It’s important not to overmix the batter because it will make the muffins turn out tough. Resist the urge, embrace the lumps! Fill the muffin cups almost to the top (I got 12 out of this). 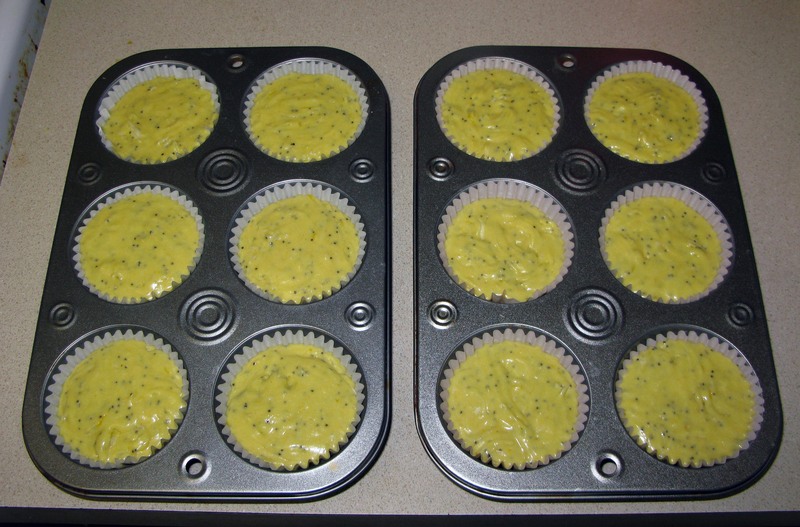 Drop the muffin tins on the counter a few times to release any air bubbles. Sprinkle the tops with decorating sugar if desired. Bake the muffins for 17-20 minutes, or until the tops begin to brown and a toothpick inserted in the center comes out clean. Leave the muffins to cool just long enough so that you can handle them. Serve warm, or freeze after cooling. To reheat the muffins, wrap them in foil and bake for 5 minutes at 450°F.